Lately I've been living off soups. Why? First because of food poisoning and second winter is finally starting to roll into town. I hope snow will come before Christmas...this has been a strange season of wearing t-shirts. Last week we had weather in the low 70's! Say what??! Usually our town is buried in snow and ice. Even though I love warm weather...I'm dreaming of a white Christmas! Now nothing says winter and Christmas like warm soup and artisan bread. Omnomnomnom! 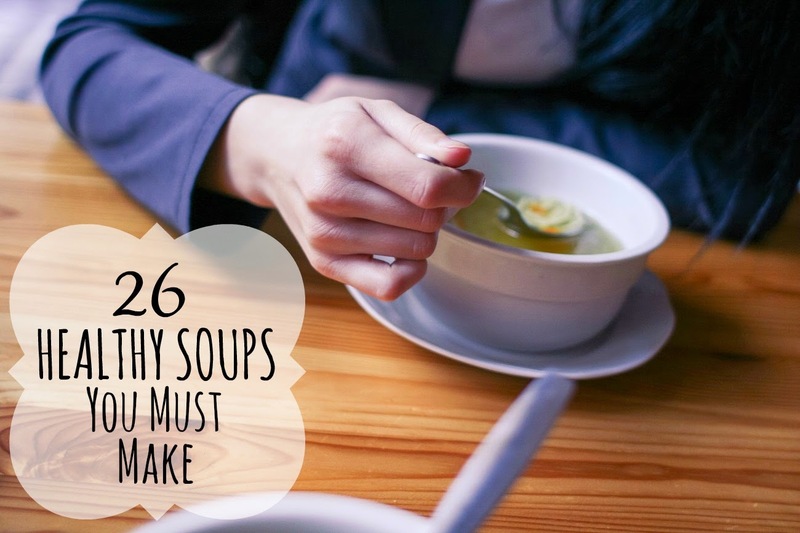 Below is a list of healthy, but oh-so delicious soups! Enjoy and let me know, which soups are your favorite! Hey Tiffany! Stopping in to let you know that I'm featuring this post at this week's Teach Me Tuesday Linky Party! Hope you have time to join us starting tonight @ 8pm est. Thanks Adrian!! Happy New Year! Glad you found this useful! Hope you have a happy new year! This is a great selection!! I am featuring you tomorrow. Thanks Isabelle! You are so sweet! Pinned :) I love soups and this looks like a wonderful list of soups. Thanks! I've tried five of the recipes and look forward to trying more! Have a great day! This is a fantastic list! Thanks so much for joining us over at the #HomeMattersParty - we hope to see you again this Friday! Thank you for reading! So glad you could stop by!